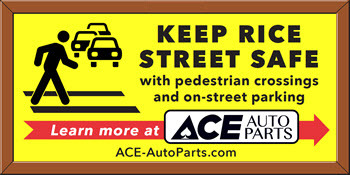 Keep Rice Street Bike Free! 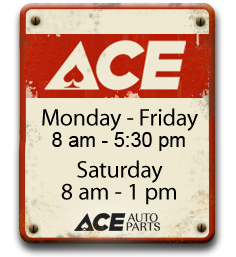 At Ace Auto Parts we believe in a strong, safe, and connected community. Recently the community has been petitioned to add bicycle lanes, on-street parking, and higher visibility crosswalks on Rice Street. Rice Street is a high traffic industrial 4-lane road that carries thousands of Minnesota residents to and from the city each day. Semi trucks and buses frequent this hilly road making each curve of the hill a higher risk for bicyclists. Creating safe pedestrian crossings and on-street parking options on Rice Street is a movement we firmly stand behind, in order to maintain a steady flow of business for our community members. Where the Rice Street Petition falls short is the proposed addition of bike lanes on each side of Rice Street. Read the "Rice Street Transportation Safety Study "
Rice Street is NOT a designated bicycle route in the 2014 adopted City of St. Paul Bike Plan. Keep Rice Street safe by petitioning against the bike lanes by completing the form below. 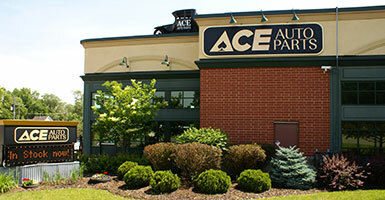 Your voice can be heard and make a difference in our community!